Wade "Deadpool" Wilson is an assassin-for-hire, and his job sends him on a lot of crazy adventures! 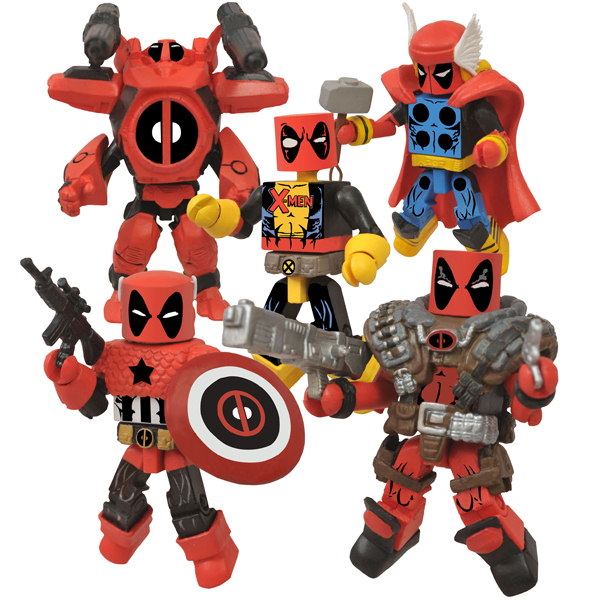 Whether he's traveling back in time to fight in World War II, wielding a mystical hammer against the Norse God of Thunder, stealing high-tech suits of armor from Iron Man, or dressing up in his best friend's clothes, there's always fun to be had, and lessons to be learned. 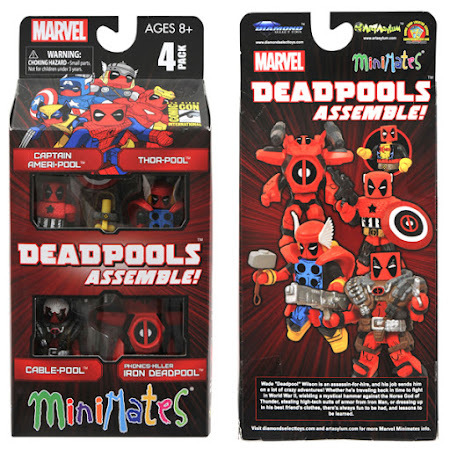 Includes Cable-Pool, Captain Ameri-Pool, Thor-Pool, and Phonics-Killer Iron Deadpool.